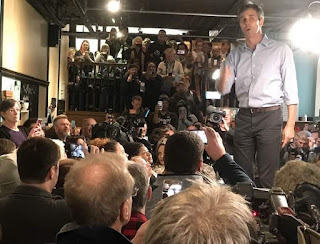 Presidential candidate Beto O'Rourke speaks at a campaign rally inside Central Park Coffee in Mount Pleasant, Iowa. Here he is at Beancounter Coffee, Burlington, Iowa. 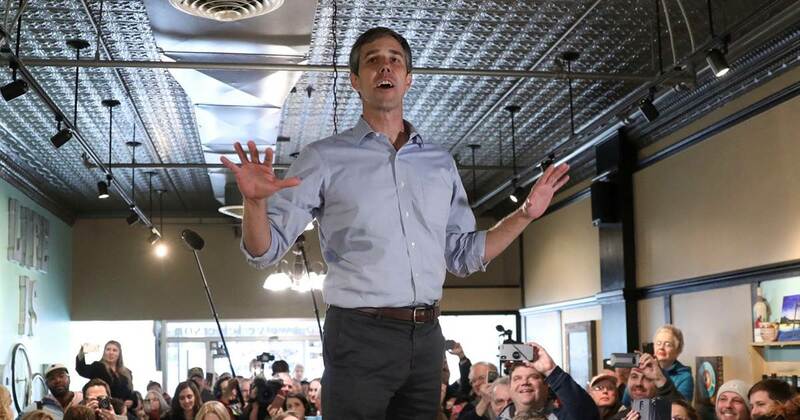 Beto O’Rourke launched his bid to become President with speeches in Iowa coffee houses like the Beancounter in Burlington and Central Park Coffee in Mount Pleasant. He says he wants to visit places where other politicos avoid—like small, small towns. 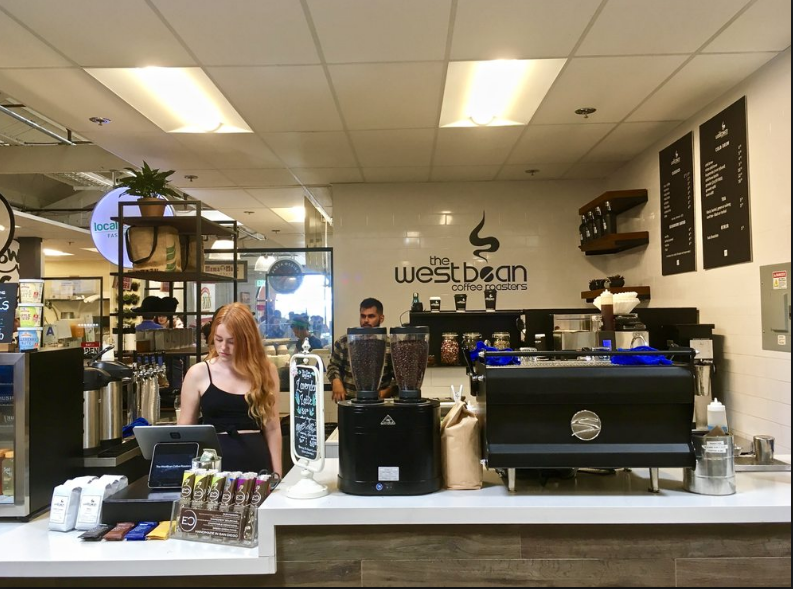 When Beto campaigns in San Diego, PillartoPost.org daily online magazine suggests West Bean coffee in Liberty Station Public Market. Four wide indoor aisles come together to form an intersection, where hundreds could view him and he’d still be within reach of a great cup of coffee. May we suggest the West Bean Coffee roaster inside San Diego's Liberty Station Public market.